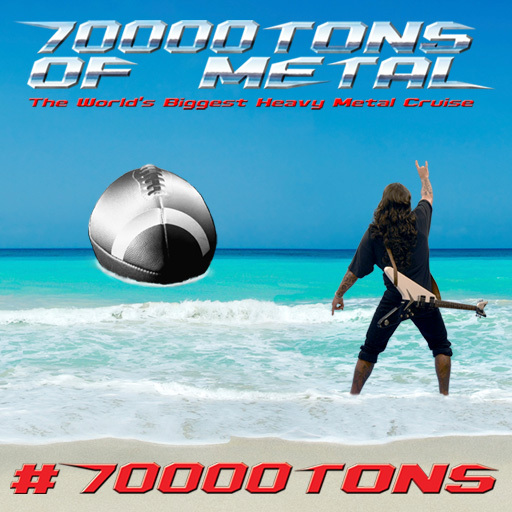 If you counted correctly you may have realized that the Super Bowl 2016 will take place during 70000TONS OF METAL 2016! Since we always strive to introduce new events on 70000TONS OF METAL, The Original, The World’s Biggest Heavy Metal Cruise‬ you will be looking forward to our all new #SuperMetalSunday: Of course we will screen the ‪‎Super Bowl‬ not only live on a big screen in a designated Super Bowl Party location, but also throughout the ship via the onboard TV including your private cabin! But wait! There’s more to #SuperMetalSunday: We will host another edition of our infamous ‪70000TONS‬ Belly Flop Contest as well as another highlight that writes Metal history year after year: JAMMING IN INTERNATIONAL WATERS, The 70000TONS OF METAL All-Star Jam where all the biggest stars on board play popular tunes by your request! Looking forward to #SuperMetalSunday on board The Original, 70000TONS OF METAL in the Caribbean? There is more to come…! Count the days! ← A Big Thank You To All Survivors For The Feedback!